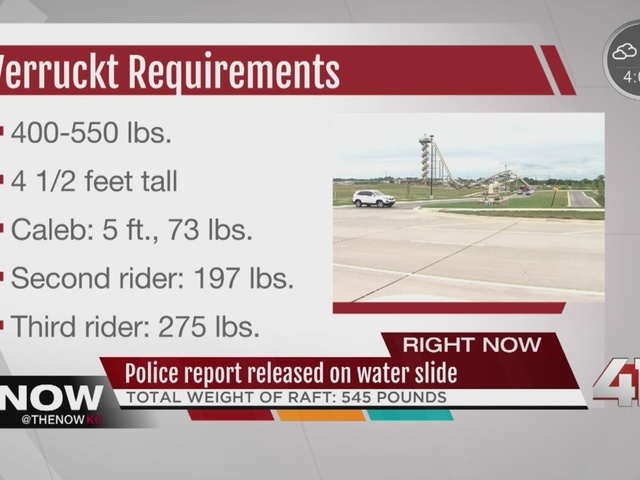 The weight of a boy and two women in a raft on the Verucckt water slide met the requirements set by the Schlitterbahn Water Park in Kansas City, Kansas. An accident on the ride on August 7 that killed 10-year-old Caleb Schwab and injured two women who were in the raft with him. 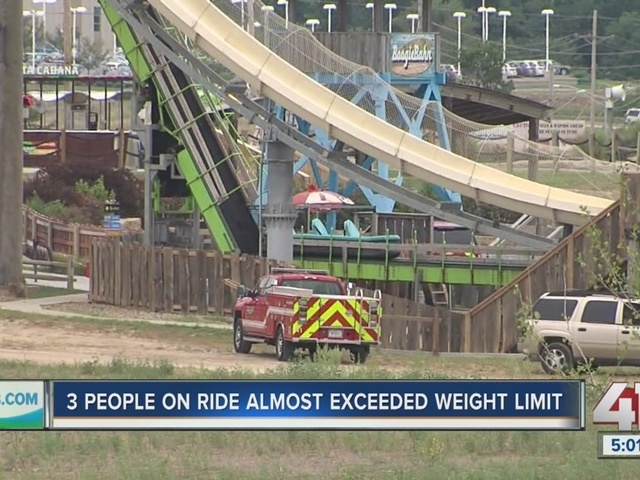 According to Kansas City, Kansas police, the weight of the raft was 545 pounds - Caleb weighed 73 pounds, the second rider weighed 197 pounds and the third rider weighed 275 pounds. Park rules state the three riders together must weigh at least 400 pounds and no more than 550 pounds. The police investigation into the accident continues. The Kansas Department of Labor also is looking into the accident. Caleb's funeral was Friday at LifeMission Church in Olathe.